Read the Rule. Can leave if they don’t like it. Six more months. Read the Rule as above. In making these vows, the new monk is stripped in the oratory and clothed in monastic garb. Thus everything he was is gone and everything he is is now invested in the community. He has not even his own clothing. He has no money to provide for himself. He has vowed not to leave. And he has vowed to surrender his own disordered will to that of the community under its abbot. This is a radical commitment. Few non-monastic Christian communities today have such radical commitment. Varieties exist in some Anabaptist communities, of course. Most of us don’t belong to those. Most of us belong to congregations that would barely notice if we were gone. What if we were to invest in stability? This is certainly part of the Benedictine freedom of simplicity, isn’t it? Force yourself to stick with your local church, not merely in spite of the people who annoy you or the preaching that you dislike for one reason or another or the hymns/songs that aren’t your favourites, but specifically to fall in love with those people, that preacher, and find Jesus in that music. That would take humility, as opposed to just leaving. Not that we should never go, but that we should more often stay instead. What if we were to invest in the ideal of poverty? This one is possibly harder. Imagine that all your goods belong to the whole Christian community (cf. Acts 2). Then give cheerfully in the collection plate. Share with others. Look for opportunities to do good. Have people over to your house in rich hospitality. Living like that (which I certainly don’t do!) would probably revolutionise how we love others. What if we were to invest in obedience? This one is probably hardest for our culture. Obedience has been abused, certainly. But Richard Foster, in Celebration of Discipline, makes the point in his chapter about service that choosing to serve others means they can’t walk all over you because you have already willed your act of service. Their own evil hearts may seek to abuse you, but you cannot be abused, for you already wish to serve. That said, I actually do believe in boundaries; if your acts of service for others are harming your family life, for example, you need to find new ways of serving. What if we were this radically invested in our churches? Would it make us into better disciples? Would it make more disciples? These are the two questions I am now considering as I read through my notes on Benedict. The clothing is not of importance itself. It is not to be hoarded, but the excess in the monastery’s life is to be used in acts of charity (caritas = agape = the highest form of love). They are only to have two tunics and two cowls. The teaching on clothing should be tied in with the teaching on food — simple fare with little wine. It should also be tied in with the vows of stability, poverty, and obedience (ch. 58). Again: stability = a simple life, not roving about. Poverty = a simple life uncluttered by possessions and the administration of property. Obedience = simplicity in choosing how to live. The (ideal) life of the Benedictine is simple. Pray and work with the hands. The complicated round of prayers that characterise Lanfranc’s Constitutions is not what Benedict originally intended. The complicated tasks of administering large landholdings are not, either. This desire for simplicity drove many of the late eleventh- and early twelfth-century monastic reform movements, such as the Tironensians (on whom I’ve blogged here) and the Cistercians. The Cistercian life was meant to be simple and austere. They were to be free to perform Benedict’s liturgy of the hours. They dress simply, they live simply. Their minds are to be simply devoted to God. 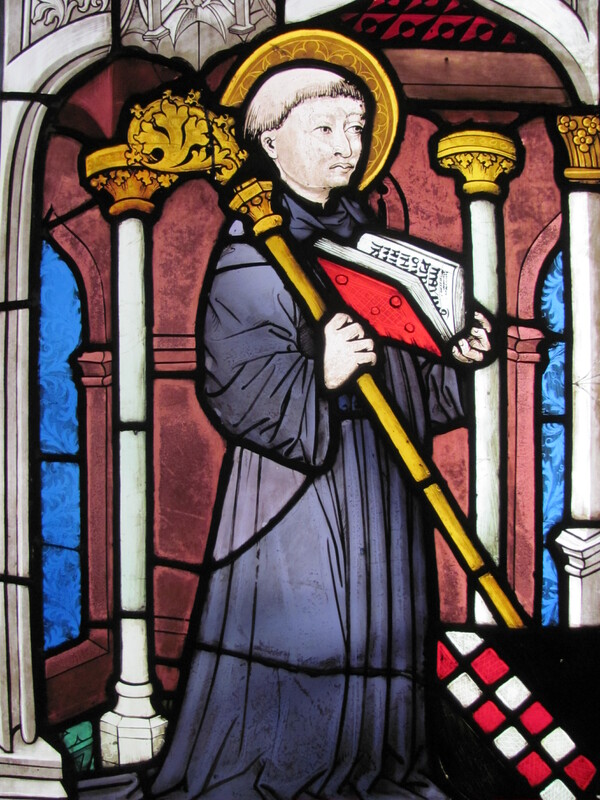 Cistercian manuscripts are rarely of secular or pagan authors. Instead, they are Bibles, biblical commentaries, liturgical texts, and the Fathers. The earliest Cistercian manuscripts tend not to have figural decorations but, instead, have lovely marginal illustrations of plants and herbs. Their churches were originally not to have steeples. They are to be simple and austere. The title of this post is taken from a book by Richard Foster, The Freedom of Simplicity. In this book, he charts the biblical vision of how we are to treat possessions and live in the world, as well as practical steps we can take to live more simply. According to Foster, such a life is ultimately freeing, if only we continue to pursue. It is a very Quaker approach, but the monastics would agree. So, let’s think on how we can simplify our lives and find true freedom in Christ and gospel-centred living. What activities can you cut out of your day, week, month? What expenses can you reduce? What temptations do you have in the area of food and drink? Is your devotional life cluttered with too many books, too many ideas, too many options, too many practices? Which might be the most helpful for you to love God more? Focus on these. This is the chapter that scares our culture the most! But what if I am not wise enough to sift the path of discipleship on my own? What if there is someone who is better qualified to direct my paths, a spiritual father? This emphasis on obedience is part of a wider culture of self-denial that we find a few decades later in Sinai with St John Climacus, and many centuries later in St Thomas à Kempis. The former of these two, a former hermit turned abbot and spiritual father, expresses many ideas consonant with Benedictine monasticism, including radical obedience. In St Thomas, we see a belief that we ourselves should put everyone before us and treat them as our betters. All of this is well and good for the ancients, but unless we are monks, or Roman Catholics who confess to a priest, or Eastern Orthodox who likewise confess or have a spiritual father, what lessons might we take away from here? I think the spirit of this obedience, in its good sense, can be found in what Richard Foster says about submission in Celebration of Discipline. We choose to submit to others and their requests and their wills not because we know they have better ideas or deserve submission, but because Scripture teaches us to submit to one another out of love. Christ came not to be served but to serve, and to lay his life as a ransom (Mt 20:28). Foster notes, though, that if you have already chosen in your heart to submit to your fellow-Christians and obey them, then are they walking on you? I, personally, try (not always with success) to think of my relationship to my wife and son in these terms. That in serving them I love them, that in submitting to their needs, desires, requests, I am acknowledging the headship of Christ in my own life. A final thought related to this: Let us learn not to grumble in our hearts. Perhaps as great a lesson, if we ever wish to be content and love our communities, our families, our coworkers, our churches. 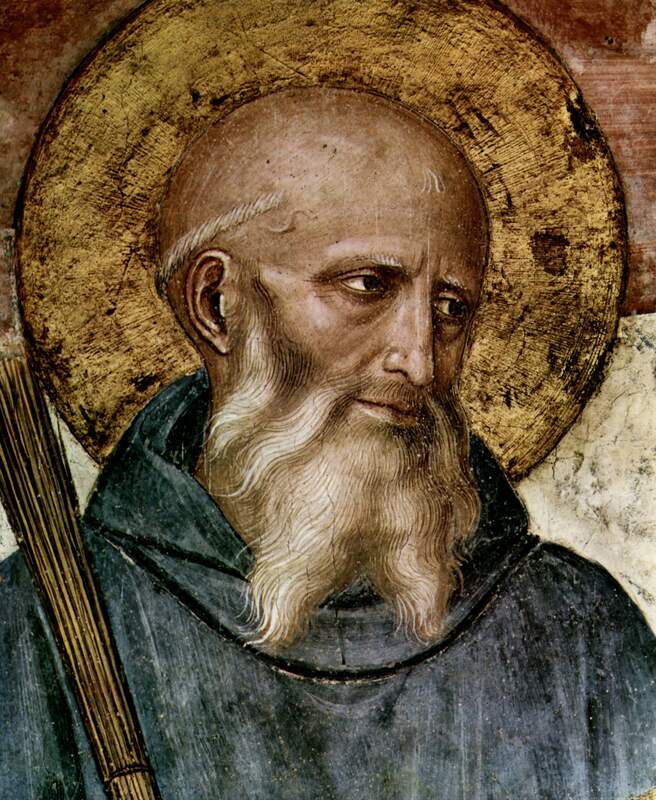 Chapter 4 of The Rule of St Benedict (RB) is about the ‘tools for good works.’ We have already set aside concerns about legalism, so hopefully we can read Benedict for wisdom about discipline — about being disciples, students, in the Lord’s service, and seeing these tools as the means by which we grow spiritually and become truly virtuous. Much of this chapter is simply a catalogue of commands, some moral, some more ascetic/disciplined. A few for reflection, then. In the churches I have attended, the only two disciplines regularly discussed are read your Bible and pray every day. They are probably the two most central. The ancient ascetics always bind in this third — fasting. And, indeed, our Lord fasted. John the Baptist fasted. St Paul fasted. Esther fasted. Fasting has been an integral part of Christian discipline, east and west, Roman Catholic and Protestant, for the whole history of the Church. Well, until recently. Not being a historian of the modern church, I don’t know when the change occurred. But I know that it was practised and advocated during the Reformation and by such figures as William Law and John Wesley. This not only draws my thoughts to St Hesychios but to St John Cassian as well, whose allegorical reading of Psalm 137, which advocates infanticide, I have blogged about. Twice, in fact. Cassian’s reading says that the Babylonian children are to be considered our vices; C. S. Lewis gives the same reading in Reflections on the Psalms. Watchfulness as advocated by the ancients is almost impossible. How can we actually pay attention to every single thought we’re having? Thinking about thinking is really weird, isn’t it? In this regard, one non-Benedictine discipline that may help is the Examen, a Jesuit practice whereby you prayerfully go through the day and examine your heart. Where was God? Where did you sin? I’ve not read extensively on this discipline; Richard Foster treats it in his book Prayer. We see here some truly Benedictine ideals, particularly stability and community. Too many of us — myself often included — try to go it alone. No wonder we fail. ‘It is not good for the man to be alone.’ (Gen. 2:18) And when things get tough in one circumstance or community, we often leave, rather than wonder if the problem includes ourselves. You will never be able to outrun your own sweat. So we come to the final post of my meandering thoughts provoked by Chapter 4 of Prayer by Timothy Keller. I have not read the whole book, so maybe some of my concerns will be settled later. And we finally meet the issue that perhaps got me on guard in the first place — the Jesus Prayer. The analysis of mystical prayer from Davis’s book as delivered by Keller is more open to the Jesus Prayer but also takes it to task. His first concern is, apparently, that many people use the Jesus Prayer to ‘block out all thoughts’. That is not how it is recommended by Kallistos Ware in The Jesus Prayer and The Power of the Name, nor in the Russian classic The Way of a Pilgrim. It is not how Fr Raphael has taught me to pray it. Nor is it how western Christians describe its use, whether John Michael Talbot in his book The Music of Creation and on his YouTube channel or Richard Foster in Prayer: Finding the Heart’s True Home. 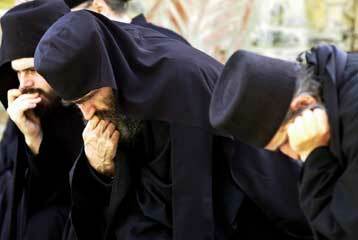 And it is not in the spirit of inner prayer as recommended in The Philokalia. But it is true that inner prayer is meant to help us block out thoughts, and that the Jesus Prayer is recommended as part of that. But the ascetic philosophy of the thoughts, the logismoi (in Greek), is not the blocking out of all thoughts. It is the attempt to be transformed by the renewing of our minds (Rom 12) and to seek to order our thoughts towards God, towards Christ, and to his kingdom. The inner experience of Christian spirituality, the quest for inner prayer, the resting in silence, is an attempt to quiet the chatter that rules in the hearts and minds of most of us. Consider, therefore, what Martin Luther said, that one cannot stop birds from flying overhead, but one can stop them from making nests in one’s hair. The Jesus Prayer is a way of keeping irrelevant and even sinful thoughts from nesting in our hair. An entirely salutary endeavour. In his handy booklet Meditative Prayer, Richard Foster explains that Christian meditative techniques exist to help us empty ourselves so that God and Christ can fill us instead. If we consider that mystical prayer, inner prayer, the Jesus Prayer, are meant to be part of a full and rich Christian life, such as I’ve discussed in the earlier posts of this series (here and here), then there is nothing wrong with seeking to silence our inner chatter. Furthermore, Davis’s other criticisms of the Jesus Prayer are either about its abuse or entirely unfounded. I agree with resisting the abuse of the Jesus Prayer. However, he complains that it makes no mention of God the Father, in whose Name Jesus asks us to pray, and that it only names us as ‘sinners’, not as God’s justified, adopted children. The first of these two complaints boggles the mind. I am reminded of a friend who was concerned after visiting an Anglican church with me that so many prayers end with ‘in the name of the Father, and of the Son, and of the Holy Ghost’, given that Scripture calls us to pray in Jesus’ name. Scripture calls us to pray in the names of both Father and Son. To reject the Jesus Prayer because it doesn’t mention the Father is a form of biblicism almost as dangerous as the aberrations of the Jesus Prayer Davis criticises. The second is related. Our primary stance before God is always that we are sinners. 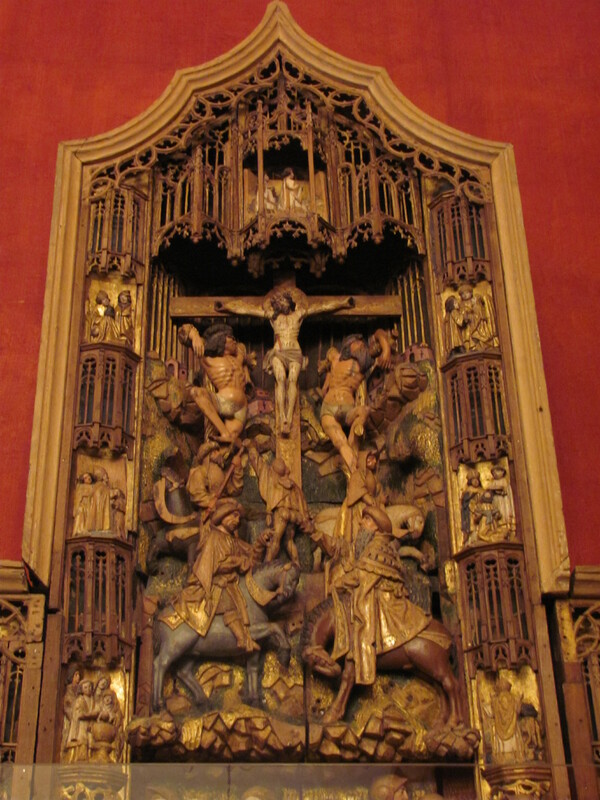 Simul iustus et peccator — at the same time justified/righteous and a sinner. The Jesus Prayer draws on Scripture, so the closing words, ‘a sinner’, are actually Scripture, from the parable of the publican and the Pharisee in Luke 18. Furthermore, it is not necessary to close the prayer with those words, anyway — some stop at ‘have mercy on me’, others at ‘have mercy’. The Jesus Prayer draws its words from Scripture, and its invocation of the name of Jesus — Lord Jesus Christ, Son of God — encapsulates orthodox Christology, while the plea — have mercy on me, a sinner — grasps biblical anthropology. Christ has mercy on us. We are sinners. This is all biblical truth. Davis’s grounds are almost manufactured, as though he came expecting a fight. This brings me to my final thought, which is the relationship of our spiritual practices and disciplines to Sacred Scripture. What about the rest? The rest are to be taken on the basis of the lived experience of Christ’s body throughout the ages, the great cloud of witnesses. If something is not contrary to Scripture, but is not explicitly recommended, and if other Christians have found it helpful, I see no reason to reject it. I, for one, have found the Jesus Prayer to be a very salutary experience. It has helped me grow in virtue, in holiness, in grace. It has cooled my anger, calmed my anxiety, made me more peaceful overall. It has brought me closer to God. Not because it is magic. Not because it is the only way to approach God. But because, through attentive prayer and focus on Christ, I have found His grace ready and available. I do not think everyone must pray the Jesus Prayer. I don’t think all Christians need to practise inner prayer or contemplative activity. But I think none should be barred from such prayer, many of us have profited from it, and perhaps still others need it just as other Christians need other practices. I just read a piece from 2008 by Christopher S. Webb looking back on and celebrating 30 years of Celebration of Discipline by Richard Foster. In large part because of that book, many of us have been opening up with freedom the writings and teachings of the past centuries of the church. Ideas like fasting, meditating, and so forth, are no longer foreign in many Protestant churches. But how many of us have succeeded in applying these lessons and turning ourselves into deeply committed disciples? Writing, preaching, and teaching about the spiritual disciplines is now widespread. The great Christian classics are more available and accessible than ever. The churches have become comfortable with the language of formation and intentionality. But the utter devotion to the way of Christ that lies at the heart of spiritual formation seems to elude too many. The classics are more often bought and quoted than actually read and wrestled with. Too often, our eloquent teaching and preaching far outstrips our practice. And while we might applaud a church for appointing a Spiritual Formation Pastor, it begs the question: what are the other pastors doing? In many churches formation and intentional discipleship remain electives for the enthusiastic rather than requisites of the core curriculum. May you be blessed in your times of prayer this day, and empowered by the grace of the Holy Spirit to truly live out the faith we have received!